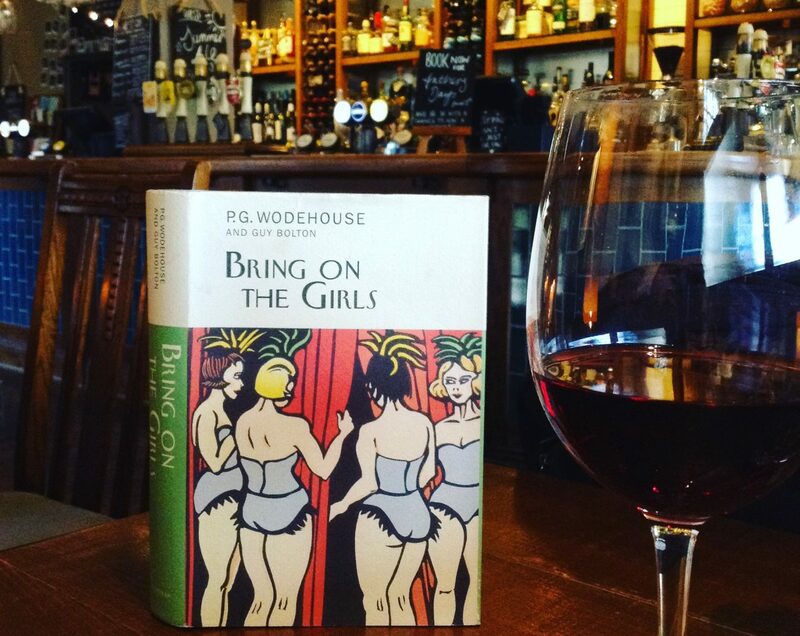 This February’s Great Wodehouse romances series continues with another guest author, K.V.K. Murthy, known to Facebook friends as James Joyce. His piece takes us on a walk through romantic literary history with Psmith and Eve Halliday (Leave it to Psmith). The question of favourites is mostly subjective, and Wodehouse’s vast canvas of miniature romances doubtless provides for each taste. The Gussie-Bassett, Tuppy-Angela, Bingo-Banks and others too numerous to mention are all miniatures :a concatenation (to use Jeeves’ word) of comical situation, Edwardian silly-assness and a bit of fat-headedness thrown in for seasoning. They are the staple of drawing-room one-act plays of a certain generation, given occasional revivals in schools to round off the Annual Day shindig. Barring minor changes in detail, they are all more or less cast from the same block. Wodehouse’s success with that block – or formula – lay in the plasticity of his language: in anybody else’s hands it would have spelt tedium, a tiresomely unfunny business. But the Psmith-Halliday romance stands out, a class apart, with little in common with the other country-house capers. To begin with, this is not a miniature sketch: it is an epic, a work conceived on classical lines working on classical allusions (‘the fruit of an expensive education,’ as Psmith himself would say). If the whole comedy of errors is Bardic, Psmith’s first encounter with Eve, and his first act of devotion is pleasingly (and appropriately) Elizabethan: Eve’s hat, the rain, the hastily produced umbrella are nothing if not throwbacks to Sir Walter Raleigh’s famous act with his cloak for his Queen(Psmith indeed mentions this parallel to the unfortunate Walderwick). Psmith’s courting is a stately progress, like a gavotte or apas-de-deux – matched perfectly by a languid stateliness of Wodehousian idiom absent from the miniature romances, which again underscores the Master’s fine ear for symphonic form (the book can actually be visualised as a symphony in four movements: a brief adagio, followed by an allegro ma non troppo, a longish andante, and a final presto). If the romance begins on an Elizabethan note, it also seems to advance through epochs. In his initial moves to Eve, Psmith’s demeanour has faint courtly echoes of Andrew Marvell, although without the fatalistic overtones (in a bizarre coincidence there is even a Cynthia in one of his poems) – and with this we have stepped quietly and seamlessly into the Restoration. But we don’t linger long here. Soon, Psmith and Eve decant us, seamlessly again, and charmingly – into the Regency. It doesn’t require too overwrought an imagination to see Psmith as a latter-day Beau Brummell – his fastidious appearance alone would have earned a hat doff from that laced and cravated dandy, to say nothing of his manner of speech- and Eve as a fine Belgravia belle (even if her origins in the book, though genteel, are decidedly not West End). Whether Wodehouse saw these associations, much less intended them to be seen is a moot point. In any case it is only critics who look for them and find them, as this one did. And I’m sure the Master wouldn’t complain. But there is one other aspect which sets the Psmith-Halliday chronicle apart from all the others: its is a complete novel in the classical sense, in the elegant Jane Austen mould, a perfect marriage of form and content. Not a single piece of gravel in this walk. Pure excellence on a story of pure eminence. Psmith is my favourite PGW character – possibly my favourite character conceived by any writer. Alas, the suggestion did not fly, and I had to content myself with reading all the Psmith books to my husband (so he would know what he had missed out on). Ahhhh, Comrade Deborah. A kindred soul. I can’t get enough of the chap either. A (p)sterling character, Psmith. Whether in the realm of banking, love or (p)secretarial services, he reigns (p)supreme. I didn’t like Psmith being married off. Would have prefered him to have remained a free spirit. May I re-blog this one, please? Of course. Please do. Thanks Ashok.